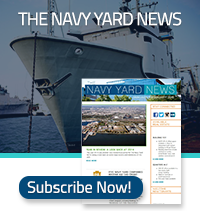 The Navy Yard offers two free bus routes that allow employees and visitors easy access to the Navy Yard from Center City and from NRG Station on the Broad Street Subway Line. The Navy Yard Shuttles will operate on a Winter Emergency Schedule in the event of inclement weather. The Express Shuttle stop in Center City at 10th Street has been temporarily relocated due to nearby construction. Riders, please board the Center City Express Shuttle on the northwest corner of 10th & Filbert Streets (Greyhound Bus Station side/facing 7-Eleven). The Navy Yard Loop bus runs between NRG Station (Broad St & Pattison Ave) and points throughout the Navy Yard. The Center City Express bus runs between Center City and points throughout the Navy Yard. Please note that the Express Shuttle stop in Center City at 10th Street has been temporarily relocated due to nearby construction. Riders, please board the Center City Express Shuttle on the northwest corner of 10th & Filbert Streets (Greyhound Bus Station side/facing 7-Eleven). 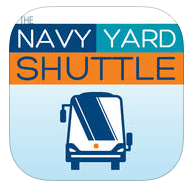 Check the app store to download the Navy Yard Transit app on your Apple or Android device!